This acclaimed Emmy Award-winning anthology series features documentaries and a limited number of fiction films united by the creative freedom, artistic achievement and unflinching visions of their independent producers. INDEPENDENT LENS features unforgettable stories about a unique individual, community or moment in history. The series is supported by interactive companion Websites and national publicity and community engagement campaigns. Acclaimed actor and filmmaker Stanley Tucci hosts the series. From acclaimed director David Sutherland (Kind-Hearted Woman, Country Boys, The Farmer's Wife) comes this unique look at the immigration issue. 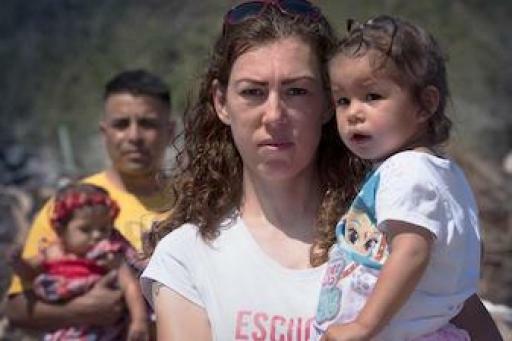 The film follows the efforts of Elizabeth Perez, a decorated United States Marine veteran, to reunite her family after the deportation of her husband, an undocumented worker from Mexico. 05 October 2001 Season 3, Episode 5: Who Owns the Past? 09 December 2003 Season 5, Episode 7: Eroica! 26 April 2005 Season 6, Episode 21: End of the Century: The Ramones / Joe Strummer Rocks Again! 31 May 2005 Season 6, Episode 26: Double Dare / Piki and Poko: Taking The Dare! 27 February 2007 Season 8, Episode 17: Can Mr. Smith Get to Washington Anymore? 29 January 2008 Season 9, Episode 13: How Is Your Fish Today? 13 October 2011 Season 13, Episode 1: Wham! Bam! Islam! 26 July 2012 Season 13, Episode 27: Strong!